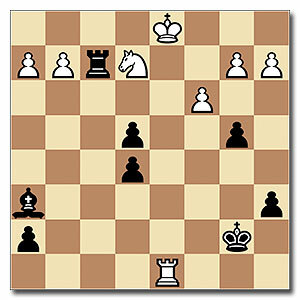 A chess puzzle from the award-winning ChessKillerTips database of podcasts hosted by Chess Queen™ Alexandra Kosteniuk: This puzzle is LEVEL: Easy, CATEGORY: Middle Game. Black plays and wins. From the game Romieux – Kosteniuk, Paris 2008. Click on the diagram for the solution and click on photo to see a super photoshoot album of Chess Queen™ Alexandra Kosteniuk.